QuickMediator low cost, high results! Carefully, business, Fast, Social and Emotional concerned. Quickmediator formula is represented in several countries in Europe and therefore one of the fastest growing formulas in the mediation branch. Mediation is emerging since nowadays people do not want to spend too much money into resolving disputes. Businesses and consumers are not interested in expensive procedures and opt voluntarily for mediation. Furthermore, mediation provides for a win-win situation for all parties. Our mediators anticipate to this and they are regularly trained in the latest techniques of mediation. Together with the mediator you can solve any problem. Quick Mediator stands for low cost, high profit! Quick Mediators are careful, corporate, fast, experienced, socially and emotionally involved. A business dispute, a private issue, difficulties between two companies, a dispute between the employee and the employer or a divorce. For every man, woman and/or business is a conflict expensive, time consuming and often very emotional. What could be better than solve these conflicts together with a mediator or arrange a divorce with mediation. Through mediation everything is properly arranged and the future will be bright and positive for all parties again. You can continue the cooperation again and / or you can get along with each other again. The aforesaid results can be achieved with the Quick Mediator. Any conflict should be resolved as soon as possible because negative energy is disastrous for your business and/or your personal situation. Quick Mediator can solve everything and fast! A recognized Quick Mediator is not only a sustainable but also an affordable solution. 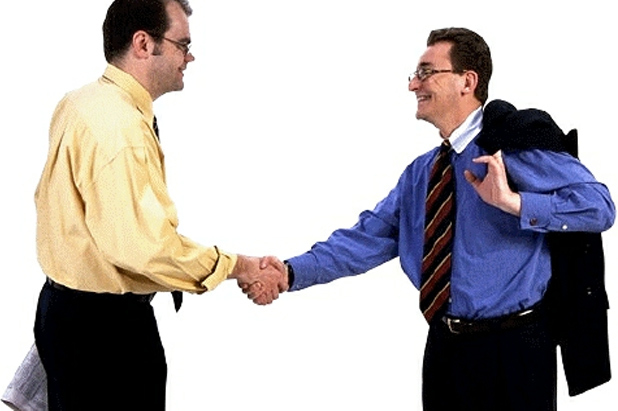 Each Quick mediator is an experienced mediator and has much knowledge of dispute resolution. You will experience this during the first free meeting with the mediator. After a divorce, for example, there comes a time when you, your ex partner and the children need to process the divorce. If you arranged the finances and parenting issues that a divorce entails properly by using mediation, you will notice that there is a burden of your shoulders. The mediator can support you in this and reduce your worries since he/she is very proficient and experienced. When you use mediation in a business conflict, in 99% of the cases parties will simply do business with each other again. Quick Mediator knows what is at stake and will bring the parties closer together again through mediation. What could be worse then afterwards to conclude that the agreements over who may stay in the marital home or how often your partner can see the children, are not fulfilled. An additional problem that may occur is that your house needs to be sold, but that it can only be sold with loss. Have you already thought about that? No? We did. Together with the mediator you will resolve all those issues. Our slogan is that you don’t have to worry anymore. We will ensure that you will be supported in solving all your problems. For every problem there is a solution using our mediation tactics. The Quick Mediators are inter alia experienced lawyers who previously had a divorce practice in a law firm and/or are experienced business people with a bag full of life experience. They choose to help you. No commercial but social and human mediators. If you want to arrange your divorce by a lawyer, the divorce will cost you both a lot of money because you don’t know how much hours a lawyer needs. Moreover, a lawyer is often not involved enough with your situation and he/she is biased. What lawyer will visit you in the evening after eight o’clock, when the children are in bed, to arrange your divorce? Our mediators come when it suits you. Mediation is also better for your children. Mediation is also better for your children, because it provides a good relationship after the divorce. Mediation is sustainability. If you want to resolve your business or private issues with a lawyer, then you will create a hostility between you and the counterparty and this also comes with extremely high costs! Moreover, judges are increasingly choosing a mutual settlement between the parties and in addition there is often the risk that you will lose or, if you win the case, there is no redress at the counterparty. Avoid the stress and opt for mediation by hiring a qualified mediator of Quick Mediator. Low cost, high profit! Quick Mediator is the best party in mediation! Whether customers choose for our Quick5 or our fee from € 75, – per hour, you will be assisted by a recognized mediator from Quick Mediator! Not surprisingly therefore that the Quick Mediator concept in the Netherlands is flourishing. Are you divorced or do you want to divorce? Quick Mediators has mediators throughout the country!